Aldea 31 West 17th Street, New York, NY 10011 is where I had the last of my 30th birthday dinners. It was with my college gal pals, friends forever. It wasn’t the perfect dinner, fraught with an equal number of exuberant yums and bewildered umms. It’s actually a wonder how inconsistent it can be coming from the same kitchen. We got seated on the second floor, where Lon pointed out the airplane-like feel. We all agreed, a long narrow space with low ceilings, very grey. The four cocktails we tried were horrible, either too sweet or too strong, nothing was in balance. The waitstaff was accommodating and made ample effort to fix things, but I lost faith in whoever was bartending and opted not to take another drink. The appetizers were pretty good, but little complaints lingered in my mind. The Mussel Soup (mushroom, coconut, and linquica sausage) and The Slow Poached Egg with Sweet Peas and Bacon (green garlic broth, truffle) were both served luke warm. I tasted great potential in both which were potently flavored with the listed ingredients. You can see the nice shavings of truffle here. 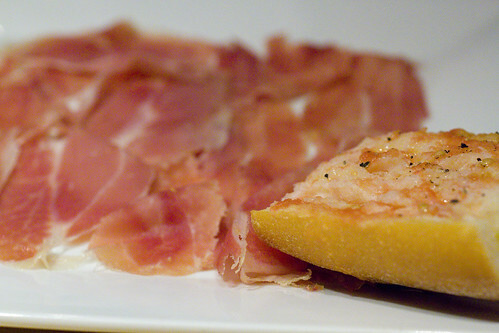 The Presunto was good though not noteworthy, but it was served with some soggy tomato smeared bread. 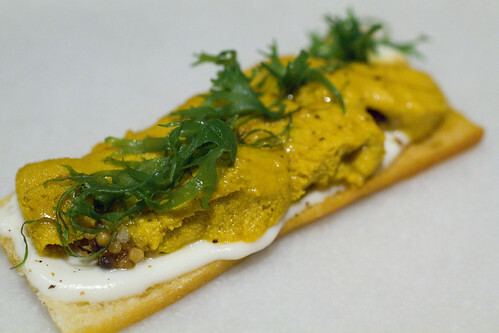 The Sea Urchin toast was nice, but again not notable, and so tiny, probably a 3″ long piece. 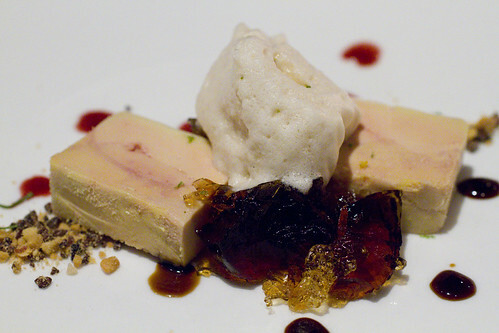 The Foie Gras “Mi Cuit” was smooth and just flavorful enough without getting gamey. Unfortunately, it was served with what we called toothpaste gelee, which just ruined it completely. The peanuts and cocoa nibs were an interesting little sprinkle that we did enjoy. 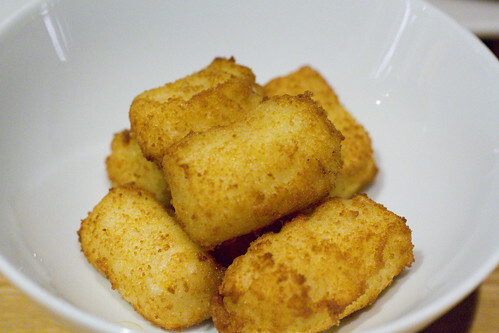 The Salt Cod Croquettas were extremely creamy on the inside. While some enjoyed that, others thought the wetness felt under-cooked. There were two outstanding and flawless appetizers. 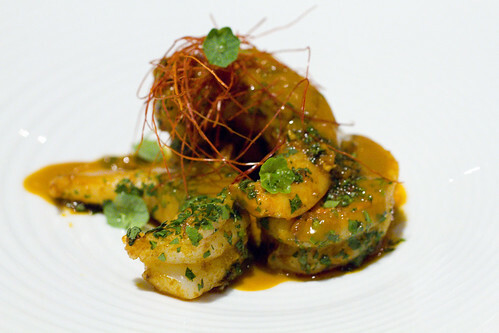 The first was Shrimp Alhinho, heavy on the garlic, pimenton, and saffron. The shrimp had that perfect snap, and every drop of the the rich sauce was wiped up with bread. 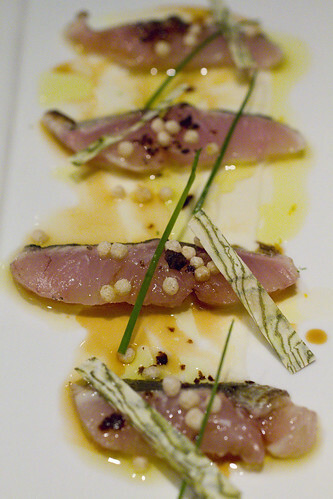 The Lightly-Cured Mackerel was another winner, just an even balance of salty, sweet, and sour. It was suitably named for that lightly tightened texture, just slightly beyond raw. The big surprise was that entrees were better than the appetizers, which is SO rare. 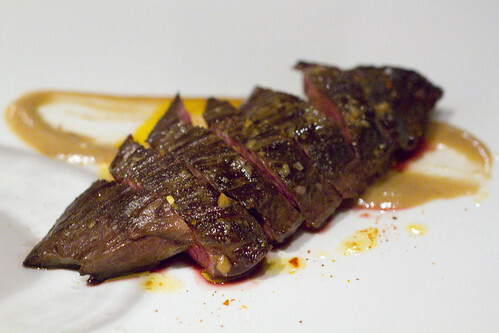 The Hanger Steak was excellent, perfectly cooked, nicely crusted, and a smokey, peppery-ness lingered. 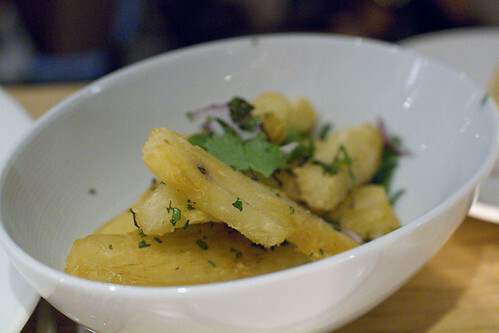 It was served with yuca fries that were fine, but forgettable. 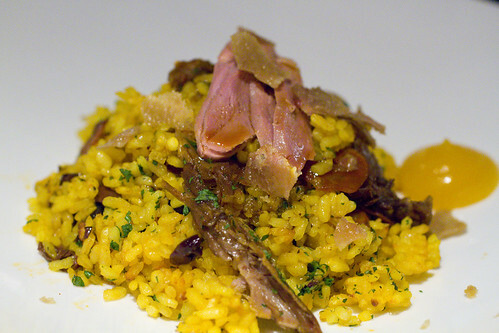 The Arroz de Pato is also a winner, a similar feel to paella but with a focus on duck. The duck confit just melts in your mouth. The duck cracklings are a nice texture contrast. The olive and chorizo round out the flavors and bring them together with a starchy rice. 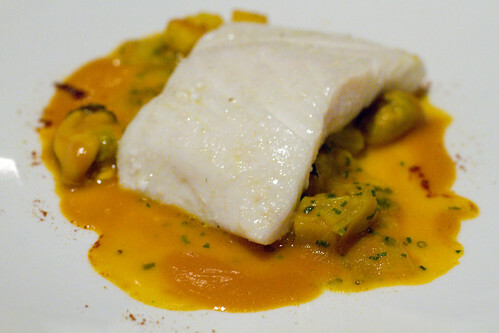 The one very weak entree was the Halibut, served below room-temperature. We had to wonder if it was a mistake or an intentional, bad decision. 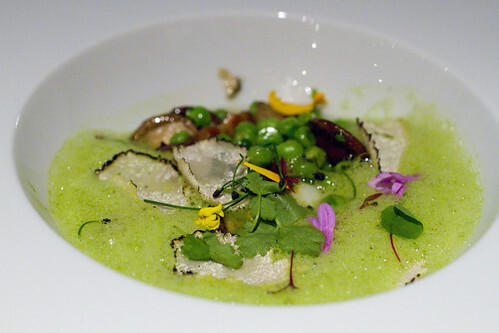 Like other weak dishes of the night, the flavors had potential, yet the dish lacked execution. 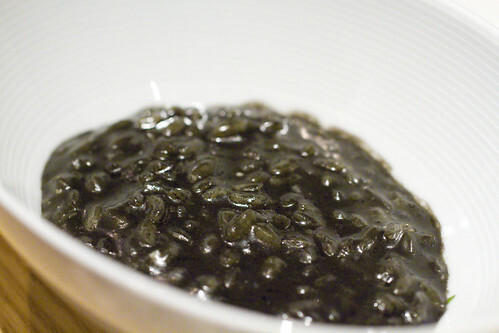 The halibut was accompanied by black rice, the dish’s savior: ultra rich and creamy, very cheesy. 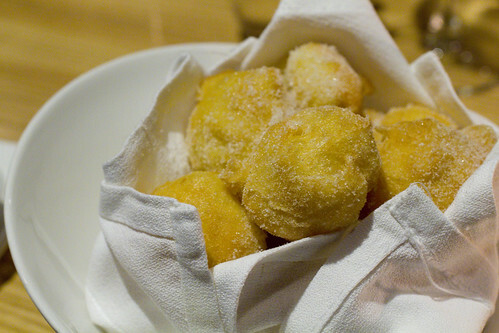 The Sonhos (doughnuts) were bland (missing that pinch of salt that even sweets and doughs need), served with three weakly flavored dipping sauces. The Dark Chocolate/Espresso oval was the only I’d reasonably order, though the accompaniments didn’t go and it was a very small piece. Aldea has some potential, but you’d really have to know how to navigate the menu full of landmines in order to avoid some seriously bad dishes, or at least parts of dishes. It just so happens that Immaculate Infatuation put up a post on Aldea the day before I went, so I did avoid the Tile Fish, which they described as “gross”. On the flip side, I’ve covered a lot of dishes here, so you can now go knowing which dishes are really good and have a pretty stellar meal. With the right ordering, it could be heavenly. 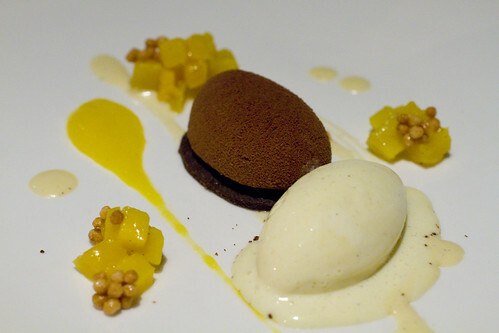 Just start with drinks somewhere else (maybe Craftbar), and pick another dessert spot too (maybe L.A. Burdick). posted by jessica	at 08:22 AM	Filed under Portugese, Restaurants. You can follow any responses to this entry through the RSS 2.0 feed. Both comments and pings are currently closed. I think I’m skipping this one, Jessica! And yes, usually appetizers are tastier than main courses. Why is that? I often order two and skip the main course. Needless to say I always order dessert, though! 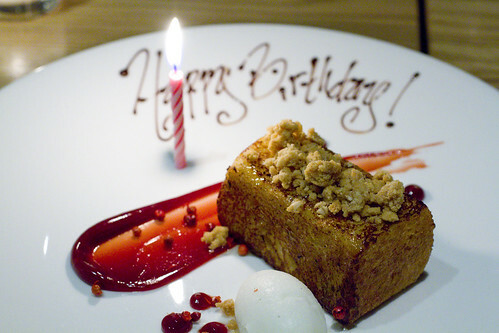 I’m so sorry I missed the last of your 30th birthday celebratory meals! Let’s go rectify the situation with a better meal this week. Lunch? Barbara, I’ve madea couple of guesses as to why but nothing solid….maybe we should research. Amy, aww don’t worry. I know you were so busy with your move! We have years of eating ahead of us. Thanks Jaden! Looking forward to it! Happy birthday. I can honestly say none of these dishes gave me an appetite. Sometimes I think food has gotten so “foodie” in a strange way I don’t enjoy. The duck dish looks good, sort of, but there is just no eye appeal and although I know I know what tastes good and what doesn’t I don’t swoon on a lot of the “in” foods. 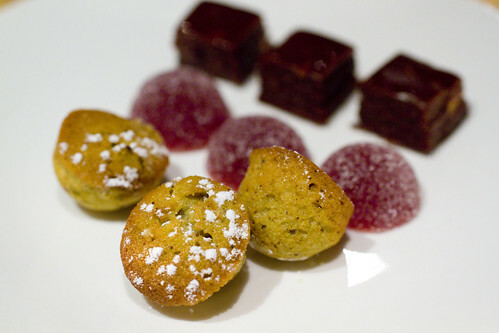 I notice more and more that desserts are often really horrible in really great restaurants, and that’s something I’ll never understand because that’s easy to get right. Thanks Angela. I get what you’re saying….I do like some of the new innovations but often, they do fail because they want to stretch too far with creativity and forget about taste. The dessert thing is even more common. The crazy ingredients only seem to work 10% of the time and when it’s bad, it’s BAD. It’s not all about presentation is it. It’s got to taste good too right? I’ve often said, some places need to come over to a “foodie” house, just for one meal! Lesley, you got it. Definitely has to taste good! Some of the dishes here were very good though….very up and down.